The state takes over animal control next year. Click in cause yon Blogging expert on all things canine summarizes the comparisons and pitfalls. Great coverage of the local Sussex county council, I say so modestly. We begin with public comments, a part of the weekly council meeting I don’t comment on. But I am at a point here where these comments are quite revealing and, insert wink here, I’ve come to know most of the commenters. One young man who I did not know actually came to the podium looking for a job. He was a bit sarcastic at first, mentioning to the council members that they “rule with iron hand”. They were very polite to the guy, referred him to the county offices to apply for a job. Joan Deaver, Sussex county’s liberal Democrat, even thanked the guy for bringing the forlorn jobless situation to their attention. Come on! The guy said he was looking for a job for two years. Hey, if you can’t find a job in two years in your field, it’s time to either move to where you can find such a job or change job fields. I think he was castigating the Sussex council for not providing more jobs but anyway, Joan Deaver thanked him. I did an article on Paul Rieger on the “other” Blog site, even went out to his house to see his amazingly horrible neighbor’s farm/business/tractor-tired-built-houses/barbed wire fence/big holes of water lot. Seems now that this fellow has created himself a big pond in his front yard and Rieger must now live with the run-off from this. You can dress some people up but you can’t make them live next door to people nicely. And then there’s Dan Kramer who must live close to the Circle in Georgetown because he always shows up and always has some complaint. There are Dan Kramers in every county or city council across the fruited plains and they are part of the local color. This week Kramer complained about the highway department not paying for their land. 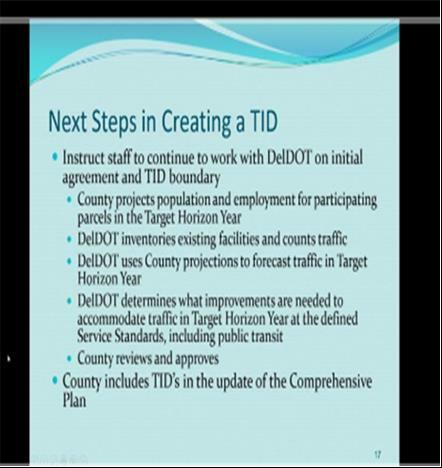 We had Deldot’s Jennifer Cohan speak about all kinds of things involving transportation, including a “transportation improvement district” and a “transportation impact study” and other acronyms that caused my head to spin. There’s a modicum of sense in the concept of sitting down and planning out what the future will hold for certain roads, perhaps even BEFORE building the roads. One example of an intersection coming to a result that is causing endless headaches is the intersection of Route 9 and Route 5. 9 is Seashore Highway and 5 takes you to Milton. It’s a “rush house” kind of intersection, if Sussex county has anything close to a rush hour. Joan Deaver mentioned, I must smile and it could be a coincidence, Beaver Dam Estates, Lord this development has become quite a headache I’d argue. AND, Deaver also gives praises to DELDOT for doing a great job on Plantation Road. Deaver praised DELDOT once before and got booed for it because everyone hates DELDOT, right? EXCEPT I wrote a Blog post, right here, and gave Joan kudos for such praise because hey, if you complain when you’re not happy, be fair enough to praise when you’re happy. I argue that people like praise better and will strive for that effect into the future. This was an interesting exchange when we met the new county engineer, Hans something, please tell the agenda preparers to put down all names of those being introduced as world famous Bloggers like me write great reports like this. The county finance guru gave a report on pension updates and, of course, Sussex county finances pensions and future pensioner medical benefits better than 98% of the country and I am not surprised. The more intriguing part of this repartee between the finance people and the council people was Rob Arlett’s question about how many places had their pension funded a full 70% (which I guess is good, they put the money in the bank and expect it to grow I must suppose). A good question I must say and I am glad these council people are on top of this. Arlett then asked, surprisingly and intriguingly, why some places funded their pension benefits so well and others didn’t. I’m not sure how the finance experts were supposed to handle this question but it seems to me that Rob was, left-handedly-trying to pat himself and the rest of the council on the back. And I must suppose Sussex county council deserves it for as while they’re not perfect, they’re pretty damn good. First, a summary of my experience with Sussex dog control, which includes an episode, many years ago, of a dog stole out from a nearby house as I walked my dog and attacked her viciously, upon a public street! Then there’s the time my daughter’s dogs got out of her yard and we had to phone Kent county-I don’t know why-and report them and really, within minutes they called back and said another caller reported finding them, in Beaver Dam, heh, as all of our escaped dogs tend to go over there. For my two pups I purchased some neato tag with dog’s name, MY name, address, phone number. Which was a good idea in that one day Jackie and Blanca managed to wedge loose a fence board-the fence now owned by Inteli-and escape. Some kind fellow, in Beaver Dam Estates again….phoned me up almost immediately and bad dogs were retrieved. I really need a new fence but all the people in Beaver Dam now own my fence and my dogs know it. Dogs are now never left alone out in yard. Anyway, somehow Blanca managed to rip off Jackie’s handy-dandy identifier tag and Jackie ripped off Blanca’s, so I took a magic marker and wrote their names and my phone number on their damn collars, go to hell. I also spoke before the Sussex council on the dog-barking law, begged them not to pass it and only mine council woman Joan Deaver voted against me. Hey, animal control is a big deal around these parts and thank me very much yon readers for being here to answer all questions as dogs, ahem, are my baliwick. When my dog got attacked by another dog, tethered on both a leash and a harness, on a public street, as is my wont I am never treated fair by any agency in Sussex county though I still love it here. So the local yokel SPCA came out and quarantined my dog for a week but did not ticket me as the guy whose dog bolted out of their door and attacked my dog, tore a big hole in her, had to take her to Vet. Not that the attacking dog came out all that well, lost an eyeball, almost died. Come on, my dog was a Belgian Malinois and that other stupid dog was a freaking cocker spaniel. So even with an undeserved weekly quarantine, the situation was handled rather fairly. In all three cases of my interaction with the local animal control people, the situations were resolved very well, and quickly. In addition, I have adopted many dogs and animals from the Sussex SPCA, all of them still alive and happy. They were well-cared for is my point but once again I point out to yon reader my personal experience with all of this. I recently had Blanca spayed. I applied for a discount due to my lack of money and boom, for $20 bucks had it done, extra five bucks for rabies shot or some such. The system worked! Read my stories above. I say this because let’s see how it goes once the state takes it over. Joan Deaver said to thank Senator Blevins, who evidently got this passed. I’m not against it yon ladies and gems. Hand to God, silly me, I only want what’s best for the dogs. Oh! And don’t forget I was on WBOC about the dog barking law! I bravely assume the mantle of watching how this goes down, stay tuned yon reader. Below the verbiage from the handout about this matter. Of note the cost is, currently, about $57,000 a month. Mentally doing a quick calc in my amazing brain which works evenly on both sides, I think this is a fair amount. Like I said, we shall see. Pursuant to HB 225, State Government Appropriations for Fiscal Year ending June 30, 2016, the General Assembly directs: “The Office of Animal Welfare to incrementally assume enforcement responsibilities for animal control and licensing, dangerous dog, rabies control, and animal cruelty laws as the current City of Wilmington and New Castle, Kent and Sussex County contracts for these services expire.” Because county dog control contracts expire on December 31, 2015, the Office of Animal Welfare (“OAW) will assume responsibility for these services. 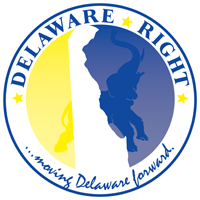 The Office of Animal Welfare is requesting this agreement to outline the services that will be performed until Title 9, Chapter 9, concerning dogs, is permanently reassigned as a state responsibility in the Delaware Code. 1. The OAW will enforce all provisions in 9 Del. Code §§901-928, concerning dogs and dangerous dogs, starting January 1, 2016. The County delegates all lawful authority to OAW necessary for such enforcement. DPH MOU No.16-329 Page 2 of 3 2. The OAW will sell dog licenses for all three counties through a state website, offering online and offline sale of licenses, starting January 1, 2016. The OAW is hereby authorized by the County to make those sales and collect the proceeds associated therewith. 1. Number of complaints pursuant to 9 Del. Code §§901-928 received and responded to. 2. Number of dog, kennel, and retail licenses sold in the county. B. The OAW will maintain all case files pursuant to investigations of potential violations of 9 Del. Code §§901-928 and will provide case files to the County upon request. dangerous dog law enforcement to the Office of Animal Welfare upon monthly receipt of an invoice. This amount is the same amount paid monthly to the previous provider, per HB 225. In the event that this Agreement is terminated prior to the last day of any month, the County shall pay the prorated amount for the month in which the Agreement is terminated, upon the receipt of the final invoice. B. The Office of Animal Welfare will work with the County to define a fair pricing structure for service in future years. A. The Agreement shall commence on January 1, 2016 and terminate on June 30, 2016 unless specifically extended by an amendment signed by all parties to the MOU, or terminated as referenced in Section VI of this Agreement. B. This Agreement shall not be altered, changed, modified or amended except by written consent signed by all parties to the Agreement. C. In the event of amendments to current Federal or State laws which nullify any term(s) or provision(s) of this Agreement, the remainder of the Agreement will remain unaffected. D. Waiver of any default shall not be deemed to be a waiver of any subsequent default. Waiver or breach of any provision of this Agreement shall not be deemed to be a waiver of any other or subsequent breach and shall not be construed to be a modification of the terms of the Agreement unless stated to be such in writing, signed by an authorized representative of the Department and attached to the original Agreement. E. Nothing in this Agreement shall be deemed a waiver of the doctrine of sovereign immunity on the part of the State of Delaware or a waiver of the statutory immunity of the County. NEXT : A post in pics and a really great post on the local politicos, who should run for higher office and who should pack up and go home. As I see it, of course. 2 Comments on "What’s Going on With the Sussex County Council? Come on In for the Scoop-The 12/8/15 Edition"
…if Sussex county has anything close to a rush hour. Apparently, you’ve never been to Five Points. Rush hour is from about 8am to 8pm. 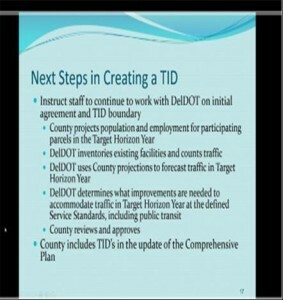 DELDOT…ever heard of an overpass?